Sioux Chief’s shower drain supply never runs dry. Discover unique designs, flexible models for restrictive workspaces, brass construction, no-caulk models, and many more benefits to help seal the deal. Finish Line™ is one of our adjustable floor drains that’s available with 2”–4” connections, is adjustable before and after the pour, and with ABS/PVC or ductile Base Adapter, ABS or ductile Coring Sleeve and Head Adapter. Sioux Chief closet flanges are guaranteed for proven performance. Choose from the unbreakable TKO™ Closet Flange, the chemical-and heat-resistant Push-Tite™ Gasketed Closet Flange or the Full Flush™ Offset Closet Flange. Available in PVC or ABS solvent weld connection, DWV Backwater Valve’s threaded access seals hand tight and allows for easy maintenance and inspection. In addition, it allows unrestricted flow, enables 6” backwater valve extensions and more. 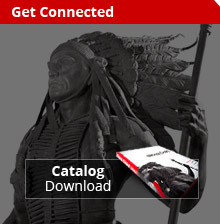 Sioux Chief is your resource to find the TurboVent™ Air Admittance Valve. It’s made from ultra-durable ABS material, is sealed within a protective sleeve during construction, ASSE listed to 1050 and 1051, contains a large open vent area and is available in many sizes and options. Find the Residential Accessories you need for a perfect fit. Choose from replacement strainers, Smart Saddle™ and various other miscellaneous accessories.